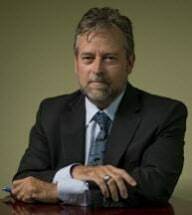 As a business litigation attorney, Glenn handles cases involving a variety of subjects, with strong emphasis on intellectual property and franchise matters. Before relocating to Sacramento from Los Angeles in 1989, Glenn practiced with a nationally known insurance defense firm based in Chicago. Before that, he owned/operated a small ad agency in Los Angeles. While attending college and law school, Glenn was employed as a cartoonist, graphic artist and technical illustrator for a small studio in North Hollywood, Calif. Since commencing his law practice in 1986, he has handled cases involving all aspects of insurance and business litigation, with primary emphases on business torts, trademark/copyright infringement and franchise controversies, including alleged violation of franchise investment laws. He has also handled many professional conduct cases, including quasi-criminal actions brought by government agencies, sexual harassment claims, malpractice suits, and administrative proceedings brought against licensed professionals such as realtors, appraisers, contractors, and notaries. He has also handled large investigations relating to FTC violations, insurance fraud, employee embezzlement, and related claims.